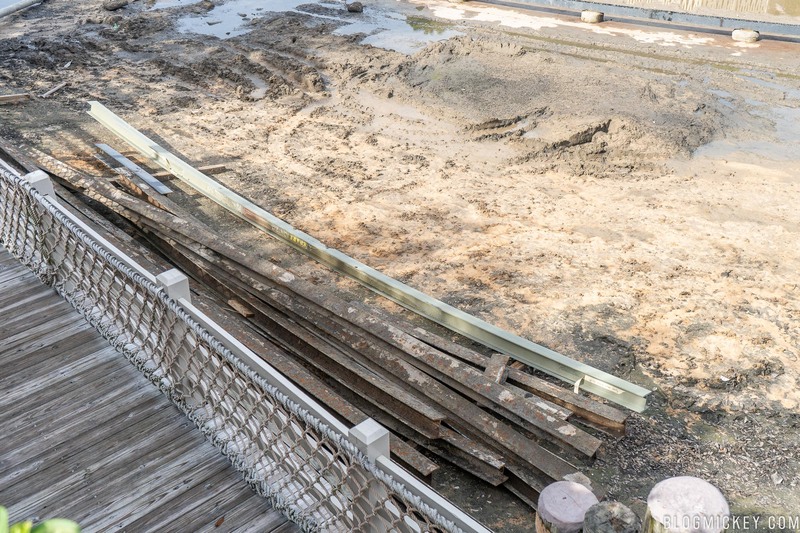 Disney has begun the process of replacing the track that the Liberty Square Riverboat runs on at Magic Kingdom. 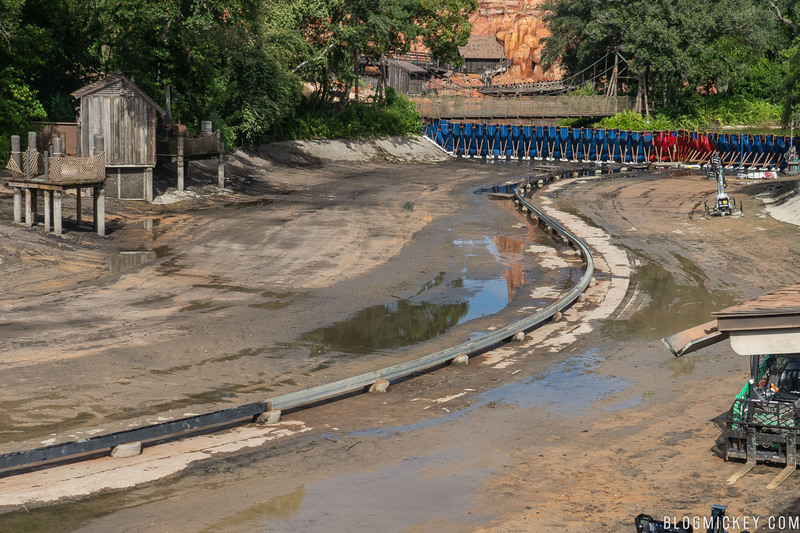 Disney began the process of draining a section of the Rivers of America back in mid-August, and fully drained the river last week. 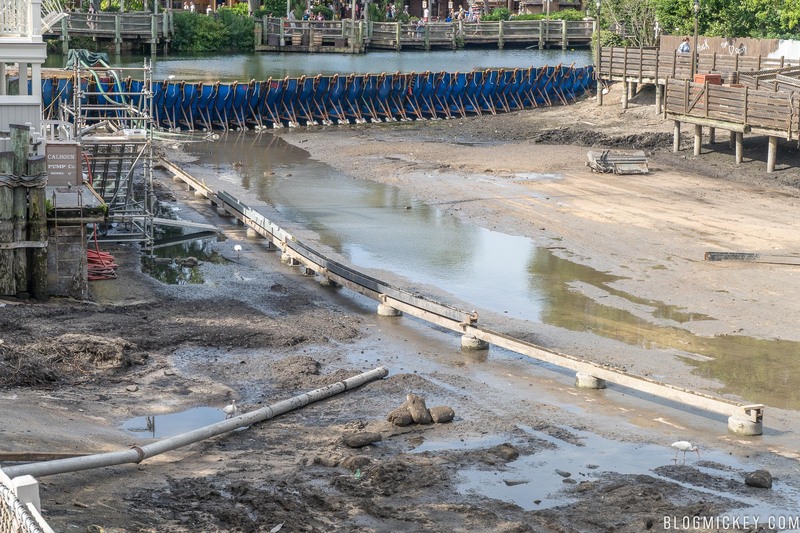 Now, they’re laying new steel sections in the river as part of a months-long refurbishment of the Liberty Square Riverboat. 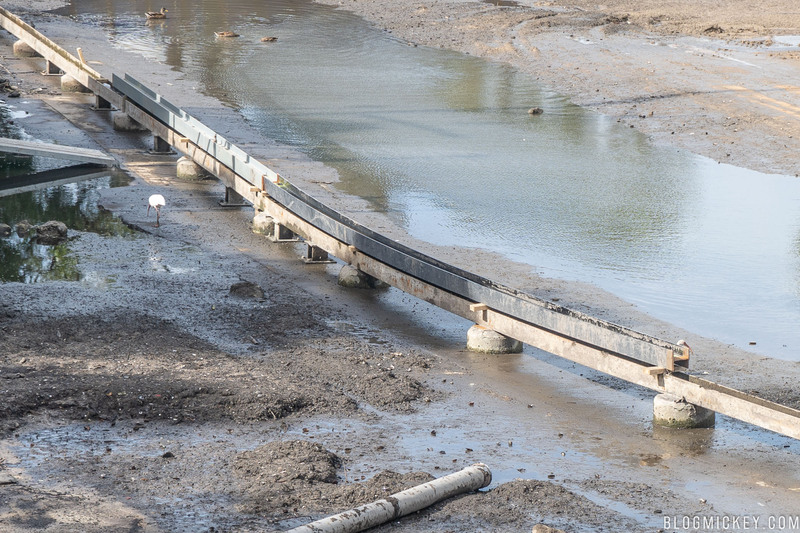 Here’s a closer look at some of the new sections of track. Extra track pieces are on site as Disney completes this section of track. 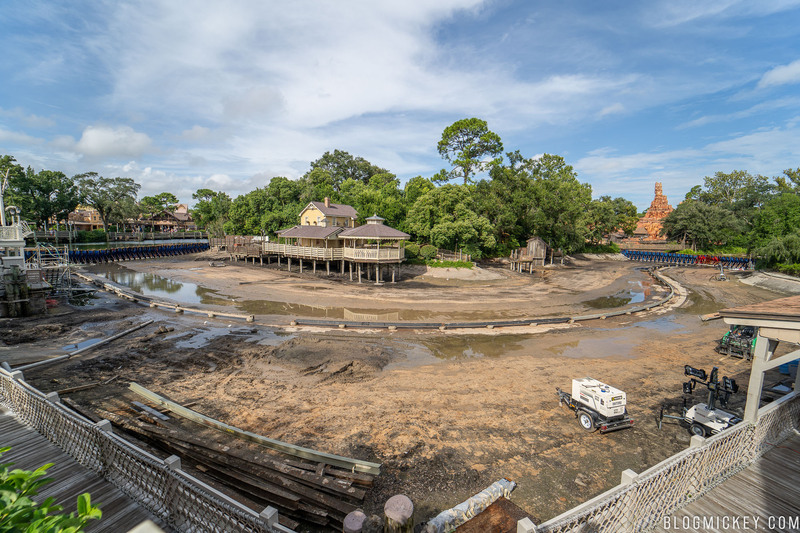 It’s unclear at this point whether Disney will want to replace the entire length of the Riverboat track, section by section, or if the scope of their work is limited to the currently dammed section of the river. Disney has stated that the refurbishment will be completed Fall 2018.